Domain registration is important for companies that are looking to make their presence felt on the internet. If you have this strong desire of giving your business good exposure online or in other words, if you are looking for the online presence of your business then it is important that you get a domain name registered to get started. However, a domain is not just limited to companies and organizations. Even individuals can make the choice of a domain name and work with an ICANN certified registrar for getting the name registered. There are a number of reasons why domain name registration is considered important. The name that you choose for your domain will go with you for a long time and even when you make changes to your website host. The changes made to URLs and website addresses need not be communicated to the customers or regular visitors. They can easily follow their practice of putting in the domain name of your business to be conveniently directed to your brand new website. 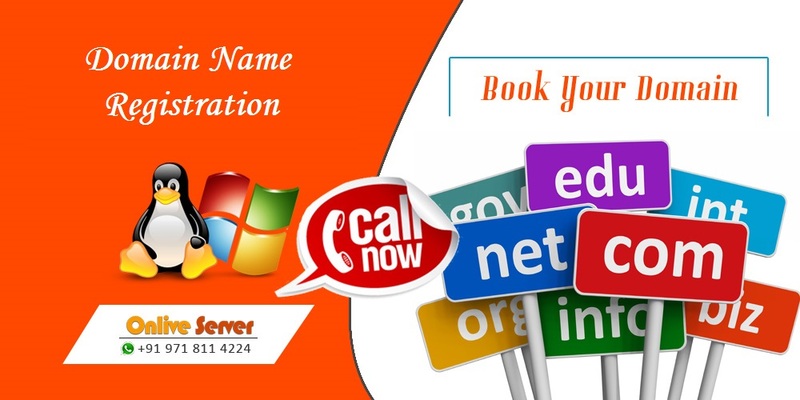 Businesses can make the effective use of their respective domain names as a symbol of their credibility. Here, it is important to note that no one will like to enter into any kind of relationship with a company or a business that does not have its very own domain name. URL registration also tends to be highly important for businesses looking to garner reliable advertisers or sponsors for their websites. Book domain name that is closely related to your line of business or the products and services that you are dealing in. at the same time, it is also important for you to pay attention to the fact that the domain name that you choose for representing your business online should be easy to remember. This is important because visitors generally remember domain names that can be keyed in very easily. This way you will have the visitors returning to your site without having to look up your site address in different documents that they might be stored in their systems. Users generally find it troublesome to go through different files in order to find the difficult domain names that they might be stored on their systems. So, always make the choice of a URL name registration that can be kept in mind and is easy to remember. Another important point to keep in mind is that if you are having a domain name that describes your services or your products, you will be able to drive in individuals who were keying in the phrase or the word in any of the major search engines. As a business or a company, it is important for you to register the URL or the domain name registration that you have chosen for your company with the Internet Corporation of Assigned Names and Numbers or the ICANN. For this, you will have to hire the services of a registrar. Note that ICANN is a non-profit organization considered liable for coordinating systems of exclusive identifiers of the worldwide internet system. The domain name registration procedure involves getting the services of a registrar; paying the registration fees and getting the right to the domain that you have chosen for a whole year. It is important for businesses to renew their URL registration on a yearly basis and generally for the same amount. Ensure that your domain is registered as the owner of a website so that you can avoid falling prey to the other laying claims of having the name of your business. Always keep in mind that the names of domains generally have this tendency of disappearing at a very fast pace. Majority of the times, domain name registration that describes different types of services and products are already used up. So, act immediately if you want a specific and exclusive domain name registration. Getting hold of some of the best names for your site or deciding on the names that you would like to use for describing your products and services. Here, it is important for you to ensure that there are more than two options available as some of them might be already selected by other companies or businesses. You can make payments for the domain name registration by using an online payment gateway or by using your credit card. This is generally the step followed by many registrars. Next, you must get the URL registration of your primary and secondary servers from your hosting provider. Make sure to work with a professional and experienced hosting provider. The primary and secondary server names are important for pointing your Book domain name to your site after the purchasing procedure is over. There are a number of ways in which Cheap Domain Name Registration can help businesses in gaining huge profitability. If you are really looking forward to strengthening the monetary chords of your company then you must have your hands on taking the best advantages of affordable domain name registration. This is one area that you must invest in so that you can do not affect your source of income considering the competitive business environment existing in the present times. Putting the right things in the right place will help you in having complete control over how you determine your business revenue on a regular basis.